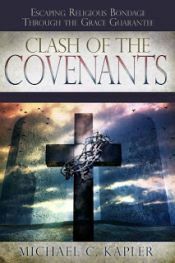 There may be dozens of passages contained in New Covenant writings from the apostles about God’s permanent forgiveness that came through the cross of Christ, but frequently they are resisted by people who will stumble over a single “verse” which may appear to contradict the good news. 1 John 1:9 is just one example when it is not understood in the proper context with the rest of the gospel. 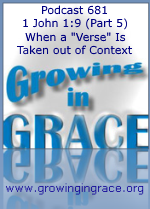 When this scenario occurs, we should compare the verse in question and consider why it isn’t lining up with the other passages. After all, we’re growing in our understanding of God’s grace and the powerful message of the gospel. Other examples include the Sermon on the Mount when Jesus was hammering the Mosaic law to Jewish people. Here He told them they would not be forgiven unless they first forgave others. How does that match up with the cross? It doesn’t. The “sermon” was not the gospel because there was no blood in it. That statement by Jesus was completely contrary to what the Apostle Paul stated on more than one occasion about our forgiveness after the cross (because two different covenants were being ministered between Jesus and Paul). Jesus was pointing out their inability to attain righteousness and forgiveness by what they do. People will often say, “the Holy Spirit convicts us of our sins.” In context, Jesus said the Spirit would convict the world of sin “because they do not believe in me.” Unbelievers need to understand the sin problem they were born into and why a Savior is needed. But Jesus said the Spirit would convict believers of righteousness. That’s who we are in Him… the righteousness of God, cleansed and perfected by His blood… no longer seeking His forgiveness over and over but living in it as we’re renewed day by day through the very life of God within us.